Soundbreaking: Stories From the Cutting Edge of Recorded Music, the eight-part music documentary that began on Monday, November 14th on PBS, has been described by The Hollywood Reporter as a "don't-miss" documentary. The review goes on to call the series "riveting" and offers high praise for this project brought to life by MSK, Higher Ground, and Show of Force. MSK Partners Jim Guerra, Eric Schwartz, and Joel Schoenfeld led the firm's Motion Picture, Television & Music Transactions team in advising on all aspects of the production, distribution, and financing of the series for over eight years. Jim Guerra served as an Executive Producer of the series, and Eric Schwartz served as Chief Production Counsel as well. 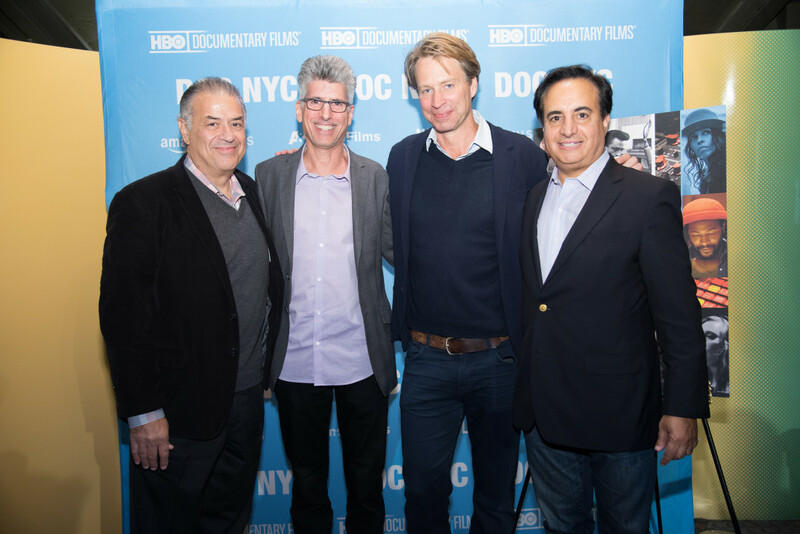 Left to right: MSK Partners Joel Schoenfeld and Eric Schwartz, Composer/Producer Giles Martin, and MSK Partner Jim Guerra.